Frasassi caves, are in center Italy, Marche, and extend long distances tens of kilometers, with tunnels and galleries, underground lakes and huge caverns. It was September 27, 1971 and in total darkness that was visible from a small cavity, a group of cavers threw a stone and held their breath. 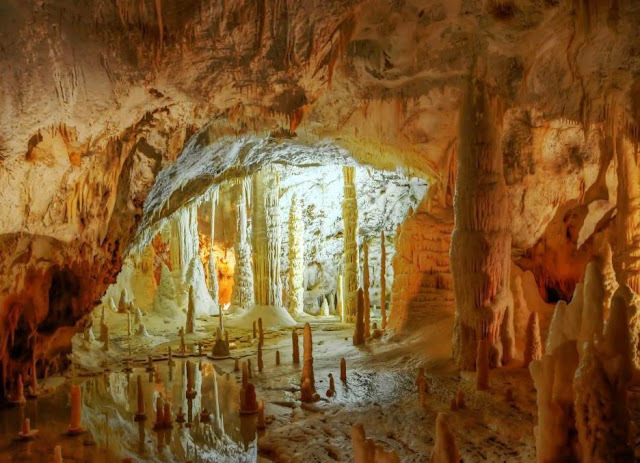 The echo came after a time that seemed endless: were discovered the Frasassi Caves, one of the most spectacular karst complexes in the world. 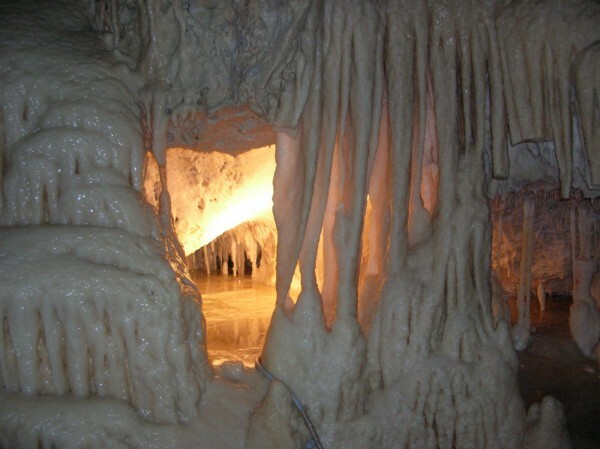 Today the caves are open to the public who can visit them, accompanied by professional guides, on a smooth path tour lasting about 75 minutes. 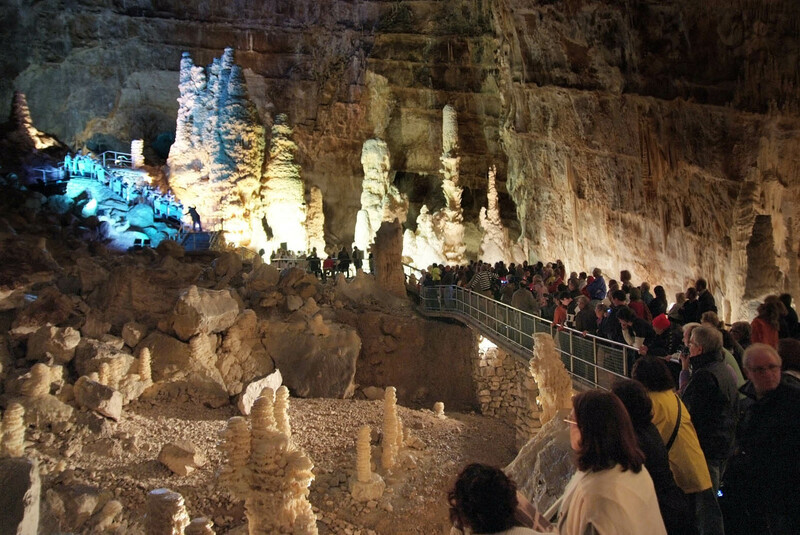 Visitors can experience the excitement of a world turned upside down, hidden and beautiful, made of beautiful environments, rich in extraordinary concretions, where the silence is broken only by the dripping of water droplets that makes the complex alive and evolving. Provided, on request, two adventure trails - blue trail (accessible from 12 years) and red route - allowing, for small guided groups to penetrate between tunnels, narrow passages and chutes to admire magnificent halls hidden from the gaze of the "normal" tourist.